Marketplaces and prices shown matched UPC number 841058021247 during our search. SMOOTH SHAVE Our four blade design includes an edging blade that provides flexibility to adapt to your unique facial contours and tricky areas, resulting in a clean, close shave. 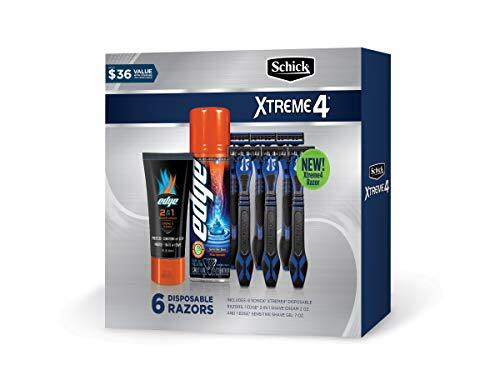 Edge 2-in-1 Shave Cream protects and conditions your skin in one easy step. 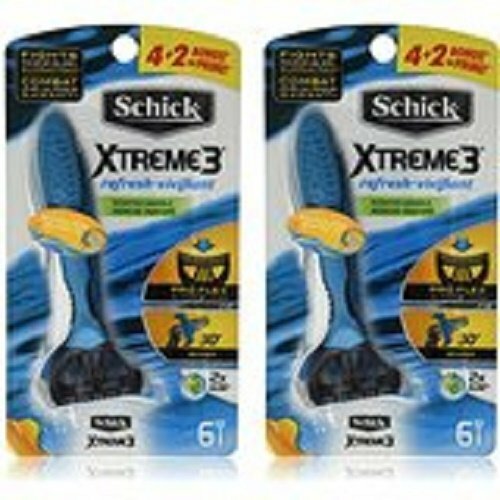 Introducing Schick Extreme 4 with longer lasting blades. 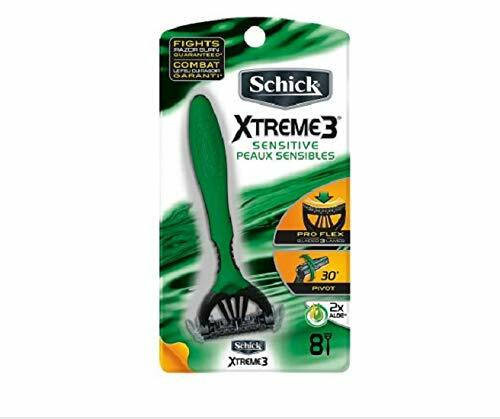 Each disposable razor has four durable, titanium coated blades for a close and comfortable shave. Gift set also includes Edge Sensitive Skin shave gel which is specially formulated to give you a close shave with less irritation and Edge 2-in-1 shave cream which delivers the ultimate protection you'd expect from Edge, plus advanced skin conditioning and miniaturization for smooth and hydrated skin in one easy step.